With the recent death of IndyCar star Justin Wilson, many fans are continuing to recognize the dangers of motorsports. While many of us love the sport of drag racing for the powerful take offs and the rush of competition, are we also realizing just how dangerous all this excitement can be? RacingJunk.com‘s featured Behind The Wheel driver Wayne Hawkins certainly does. Racing on the weekend warrior circuit for more than 20 years, Hawkins recently discovered that this passion can also lead to pain after his newly painted, hand built pro modified was left engulfed in flames following head to head competition at Farmington Dragway on Memorial Day Weekend. This powerful explosion, which had fans gasping and wondering if this drag racing veteran would even survive, led to third-degree burns over 30 perfect of Hawkins’ body and left this driver fighting for his life. 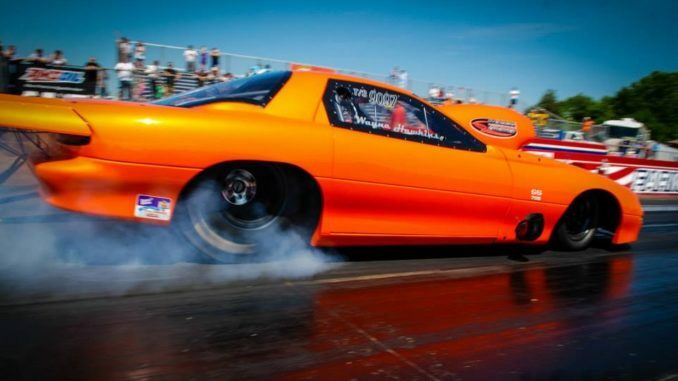 After spending more than seven weeks in the hospital, this drag racing warrior has returned home and is ready to not only tell his racing story, but is hoping that what he has learned will improve the overall safety of drag racing. This weekend warrior veteran began his racing career a little later than most, but that didn’t stop him from pursuing what he says was and still is a passion. After the speed bug bit him, Hawkins began searching for the perfect bracket race vehicle. “I was lucky enough to find a 1969 Chevy Nova, which, after a lot of hard work, I had running just over 6 seconds on a normal pass,” said Hawkins. Similar to others in the sport of drag racing, Hawkins craved even more power and speed and was soon competing at tracks throughout the Southeast in a 1967 Camaro. “This was my first tube chassis car, which I ran for many years and picked up several wins running times around 5.50,” said Hawkins. Although making a real name of himself, Hawkins couldn’t help but want more. 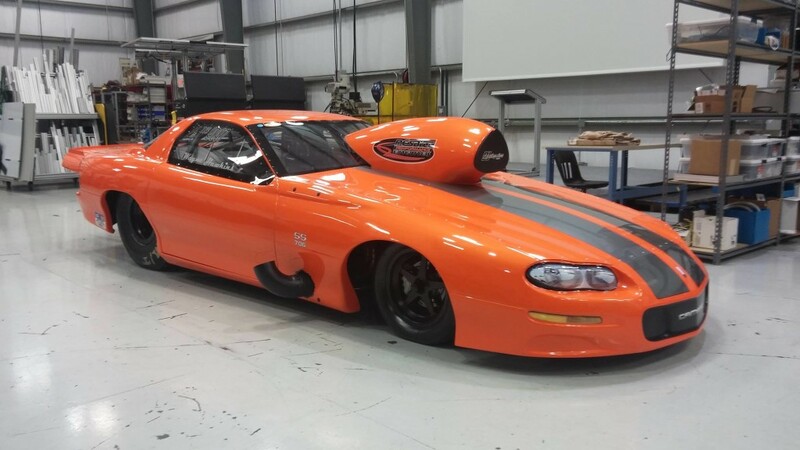 “After parking the Camaro I started working on something that continued to be a dream of mine, building my own pro modified car,” said Hawkins. Although it took this passionate driver over a year to build his dream car, it didn’t take long before this dream ride came to a very abrupt end. On Saturday, May 23, 2015, Hawkins pulled up to the tree at Farmington Dragway fully expecting to blow away his competition, that is until what he feels may have been a faulty or broken crankshaft led to the demise of his newly built pro mod. While these two angels were saving Hawkins, they were also injured themselves. In fact, Teddy had second-degree burns on both hands and was told two of those were possibly third-degree burns. 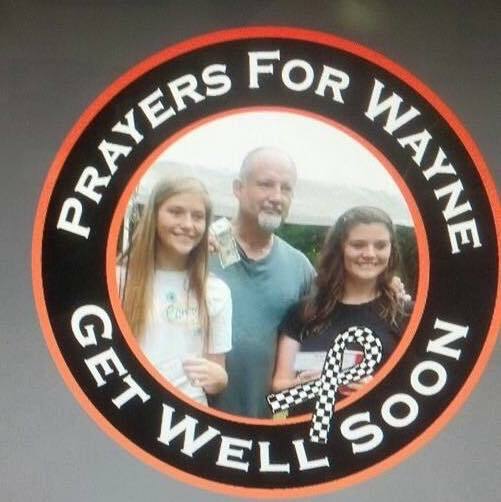 We at RacingJunk.com continue to send our well wishes for a full recovery to this brave driver and hope that all his future endeavors lead to the increased safety of all those drag racing warriors out there. If you would like to see your favorite driving hero featured Behind The Wheel, comment below and tell us their story. We had EMT’s, Firemen, and a Firetruck at Farmington Dragway on this event as with every event. God is good. Totally false as we did have a firetruck, firemen, and emt’s present. We always do. So you was at the crash as it happened? Lower end of the track? John Hohmann and Daniel Moore is our fulltime EMT/Firemen and was stationed on the top end of the track the whole day. Also we had William R Davie Firetruck and company on site the whole day. We can NEVER transport but wealways have radio communications with Davie county fire/rescue etc. Hope this information clears up alot of mis-informative things about Farmington Dragway. Anything else is a down-right lie.